Eight months after teasing the new look, Chevrolet has unveiled its redesign of the Silverado HD. 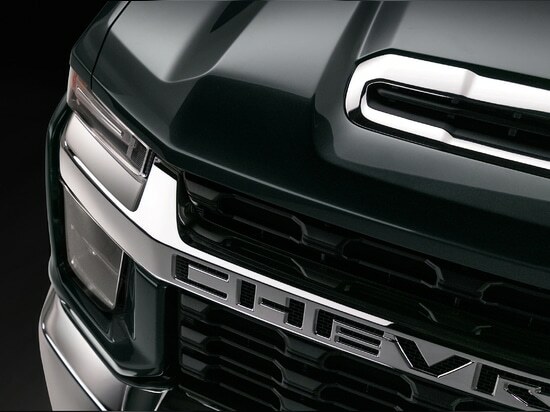 Apart from the very loud ‘CHEVROLET’ word mark stamped into the center crossbeam of the grille, the most prominent feature of this redesign is just how tall the nose of this new truck looks. 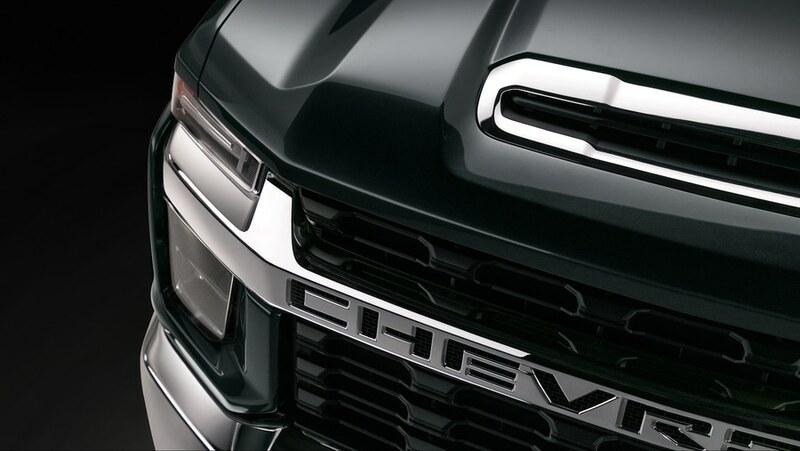 The influence of the 2019 Silverado 1500 is very apparent now that we’ve got a good look at the headlamps and a 3/4 angle of the truck. 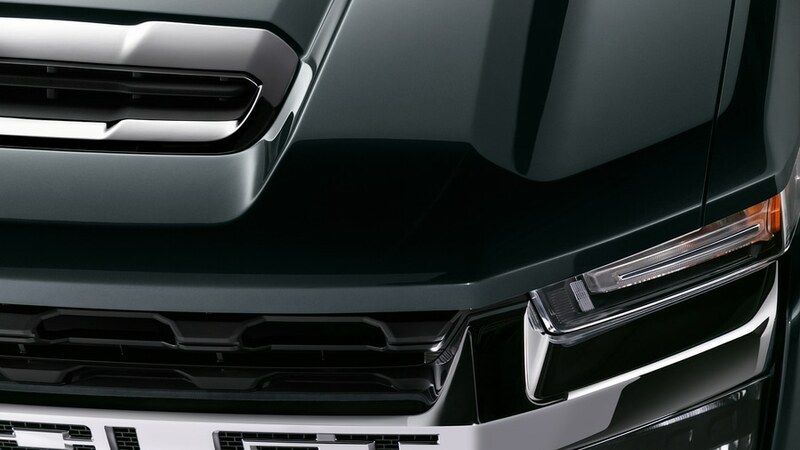 It somehow achieves a look that is both boxy and curvy at the same time. I’m not sure that’s a good thing, but I have seen several folks online mention that they like that the doors are squared off. 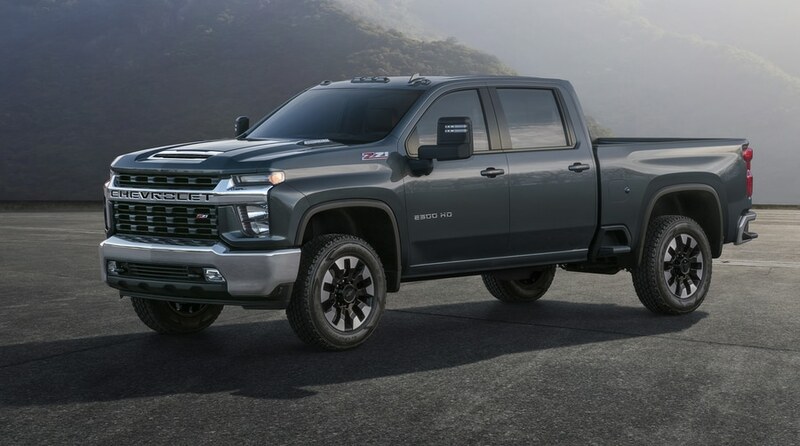 “We set out to make a statement with the 2020 Silverado HD and wanted to visually capture the power and capability of the truck,” says Brian Izard, lead exterior designer for Silverado HD. 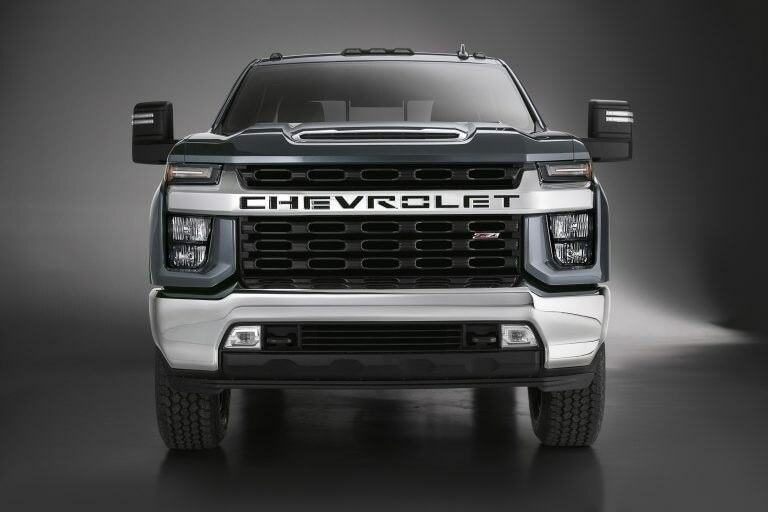 “The result is a truck that looks like a piece of heavy machinery with modern, chiseled finishes and customer-focused details.”I never like making a judgment on an automobile design until I’ve seen it in person. I’ve found that to be especially true of Chevy truck design since about 2010. I’m going to reserve judgment on this truck until I meet it in person too, but I will say that I think its best side is head-on. From that angle, you can definitely see what Izard is talking about. The grille definitely invokes that of a large piece of construction equipment. However, the 3/4 angle seen in the image at the top of this post doesn’t do the design many favors in my opinion. 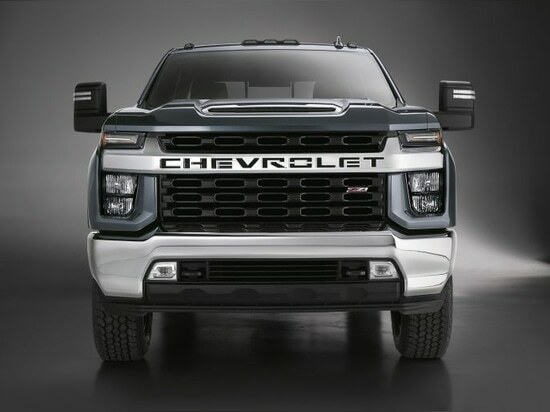 With both the 1500 and these new HD trucks, Chevy has brought a heavy dose of the 2019 Camaro’s design language over to its pickup trucks. 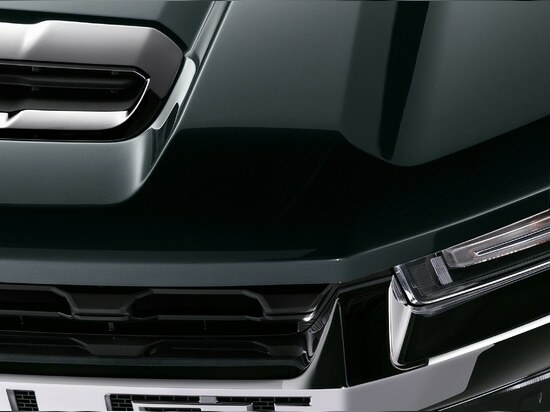 It’s a look that emphasizes sharp lines and accentuates gaps between the grille, fenders and front bumper. It’s also pretty divisive. You either love it or you hate it and the implementation found here on the Silverado HD takes things up a notch compared to the 1500. It’ll be interesting to see how customers react to it. 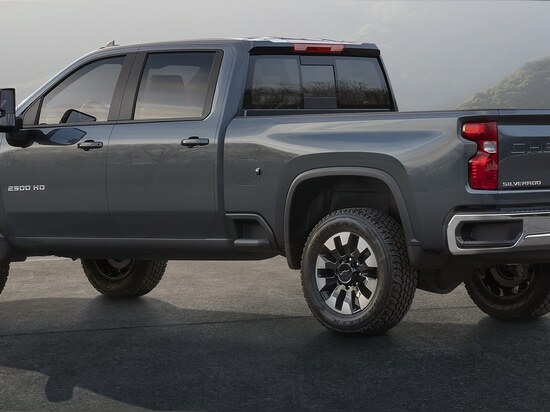 As this isn’t the truck’s official “debut”—that won’t come until February, Chevy says—details from Chevy on this new truck apart from the photos you see here are scarce. 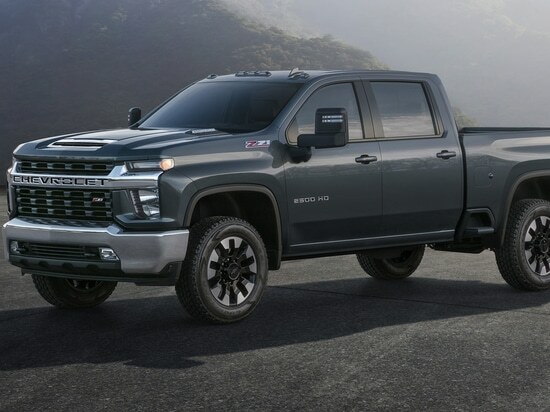 There will be 3 inches more legroom than in the previous generation 2500 and 3500 and you’ll be able to outfit it with the new trailering tech features introduced with the 2019 Silverado.